Blaine Stewart, pictured in his mixing environment at The Stewdio, featuring a Genelec 5.1 system made up of five 8240 Smart Active Monitors™ (SAM™) and a 7260 SAM subwoofer. 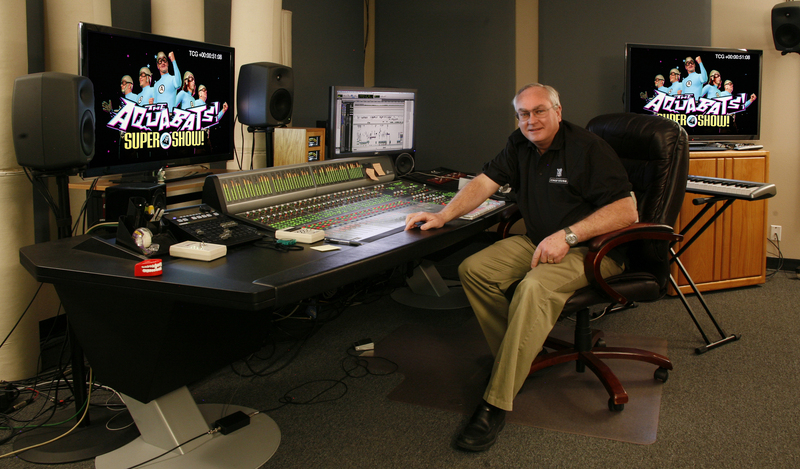 NATICK, MA, July 23, 2015 — Blaine Stewart’s deft ears and fingers have been a mainstay of television and film sound mixing since he first started in the industry on audio crew and as mixer’s assistant for The Donnie & Marie Show at the Osmond family’s studio in Orem, Utah, in 1978. By 1986, he was back in his native L.A. working at different audio post facilities as well as mixing production for shows such as Circus of the Stars and Alf. In 2000, he opened his own post-production facility, Post Plus Sound (PPS), in Burbank, and in 2010 he moved PPS to the Salt Lake City area and renamed it The Stewdio. And he had discovered something during his time in Hollywood that he took back to Utah: the sonic and technical superiority of active monitoring from Genelec, the leader in active monitoring technology for over 35 years. Currently, he uses a 5.1 system made up of five 8240 Smart Active Monitors™ (SAM™) and a 7260 SAM subwoofer. In just the last year, these monitors have helped Blaine earn two Daytime EMMY® Award nominations, for “Outstanding Achievement in Sound Mixing – Live Action”, and two TELLY® Award wins for Sound Design/Mixing, for The Aquabats! Super Show!, which aired on The Hub channel, and Kings of Crash, which airs on the Velocity Channel. Both show were mixed at his The Stewdio facility. Photo Caption: Blaine Stewart, pictured in his mixing environment at The Stewdio, featuring a Genelec 5.1 system made up of five 8240 Smart Active Monitors™ (SAM™) and a 7260 SAM subwoofer.